Just recently scientists came across some 6,000 year old terracotta jars with dried up wine at the bottom. These were found in a cave in Sicily and look to be the oldest evidence of winemaking. It would seem the Italians even beat out the French, earning their reputation as the first Europeans to produce wine. For those interested in buying wine, payments were no doubt made a lot less expeditiously back then than they are today. After all, how many sea shells can you put in your pockets? Today, strives are being made for even greater efficiencies with the continuing efforts of the Faster Payments Task Force. We live in an age where faster is better. This theme resonates throughout the Fed's recently published 64-page Faster Payments Task Force report ,a href="http://fasterpaymentstaskforce.org/wp-content/uploads/faster-payments-task-force-final-report-part-two.pdf" target="_blank">"The US Path to Faster Payments, Final Report Part Two: A Call to Action". In it, the Task Force makes 10 recommendations for developing and implementing a faster payments system in the US. This report is a follow-up to earlier findings that were published by the Task Force in Jan 2017. The report discusses several next steps for the industry on its journey toward faster payments in three key areas. These are governance and regulation, infrastructure and sustainability and evolution. This final report is based on input from about 300 payments industry players and follows nearly 2Ys of work. On the governance end, the Task Force raises the possibility of a larger role for the Fed in certain areas. Notably, the Task Force called on the Fed to immediately begin efforts on designing and implementing a 24x7x365 settlement service. The Task Force also called upon the Fed to explore and assess the need for taking an operational role in the new system. Some other strategies outlined in the report include allowing a market-driven approach to govern the faster payments system, greater education efforts for the industry and more focus on developing fraud detection systems. An Interim Collaboration Work Group (ICWG) has already been established to develop, publish, and solicit public comment on its proposal for a governance framework. The goal is for the group to make initial recommendations by year-end. The Task Force also expects informal working groups to begin discussing rules, standards and baseline requirements. The Task Force report also encourages everyone in the payments industry to support the effort toward a faster payments system. For community banks, this could mean taking a more active role in the ongoing dialogue. It also means taking steps to make your own organization "faster payments" ready by 2020. While faster payments may not be on your Top 10 list of things to accomplish in the near-term, they are coming and you will want to be ready. Faster payments are becoming a market reality for customers. Even though your customers may skew older, speed and convenience are becoming more of a priority for customers of all ages. As such, community banks can't afford to be behind the curve in this area. As regulators take the next steps to transform the payments landscape towards a real-time certainty, community banks also need to do their part. 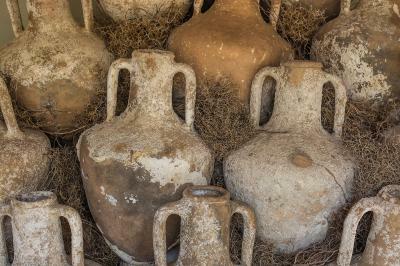 After all, while it is pretty cool to find some 6,000 year old wine, you certainly don't want to end up a relic like those old terracotta jugs! Yields popped up 2bp as investors digested new import and export pricing, and awaited the results from the Fed's 2 day meeting. Research by the Washington Post finds only about 20% of homeowners in Texas counties that were hit by flooding actually have flood insurance. CNBC reports about 40% of consumers think biometric technology is too risky and unknown for them to use currently. This could all change soon, as Apple announced yesterday a facial recognition system called Face ID that works with its new iPhone. Bank of Hope ($13.9B,CA) announced it is terminating its proposed $48.8mm acquisition of UniBank ($234mm,WA) given regulatory approvals would not take place by the termination deadline. Bank of Hope is working to correct internal control weaknesses and although it has made "significant progress," it did not anticipate regulatory approval for the deal until those were finalized. A Bloomberg survey of 42 economists finds they expect the Fed to start easing its balance sheet in October and 75% of them did not think it would change its statement after the meeting due to low ongoing inflation concerns. Bank of America has closed 1,597 branches since 2009 or about 26% of its footprint. The bank now has 4,542 branches and has refocused its approach on major metro areas. Bank technology teams should note that research by security firm FireEye finds cyber extortion activity is increasing. Extortion attacks happen when hackers gain access to company servers, take sensitive material (embarrassing emails, intellectual property, or personal information) and threaten to expose it unless payment is made. These attacks are an offshoot of ransomware, where hackers render computer files unreadable until payment is made. Chemical Bank ($19B, MI) said it will consolidate 25 branches and cut staff by 7% in Q4. The bank said it would save $20mm annualized and take its branch count down to 211.